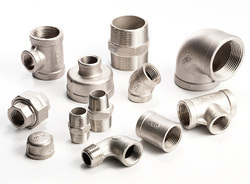 Our product range includes a wide range of hastelloy elbow, reducing tee, stainless steel full / half couplings, alloy steel pipe fittings, forged fittings and stainless steel pipe fittings. Thread Size 1/8" TO 1/4"
We are well established manufacturers and suppliers of a qualitative range of MS Reducing Tee, which find wide application in both small scale as well as large scale applications. Thread Size 3/4" - 14"
Our company is widely appreciated for providingStainless Steel Union Elbow to our clients. It is designed with utmost precision using high grade instruments and tools at in sync with industry standards. Furthermore, Stainless Steel Union Elbow is highly demanded among clients for its durability and low maintenance. We offer to our clients a wide range of Stainless Steel Forged Fittings. We produce vast range of forged fittings of quality raw material with optimum efficiency and durability. These fittings are precisely designed in our sound manufacturing unit using sophisticated technology and are highly demanded by the customers. The offered fittings are manufactured using optimum quality metal procured from established vendors of the industry. 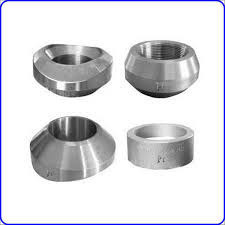 Forged fittings are available in various sizes, shape and ranges as per the customer need. 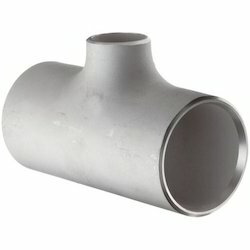 we have been able to offer a comprehensive range of SS Pipe Fittings. Manufactured at our sophisticated infrastructure unit, the pipe fittings offered by us are highly applauded for their features like low maintenance, dimensional accuracy and high tensile strength. Further, our appointed quality controllers closely inspect our range on different parameters to ensure flawlessness, before dispatching to the customers premises. 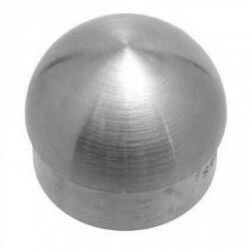 We are considered as one of the acclaimed manufacturers, exporters and suppliers of a wide assortment of Stainless Steel Cap.The offered cap is manufactured in our modern manufacturing unit using high quality stainless steel under the proper supervision of our adroit professionals in conformity with set industry norms. Find best application in hydraulic and engineering industries, we provide this Stainless Steel Cap in various finishes and sizes to meet the diverse demands of the clients. Our company is widely appreciated for providing Stainless Steel Union Elbow to our clients. It is designed with utmost precision using high grade instruments and tools at in sync with industry standards. Furthermore, Stainless Steel Union Elbow is highly demanded among clients for its durability and low maintenance. 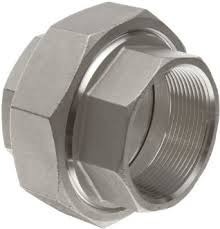 We manufacture wide range of Socket Weld Fittings that ensures smooth flow of the liquid. The Socket Weld design is commonly used in the demanding environments of chemical and power plants. 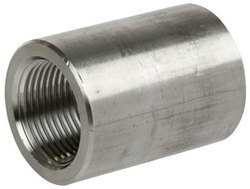 Highly reliable, these Stainless Steel Socket Weld Fittings provide a sturdy, tight integral line system. 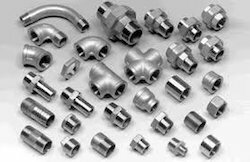 We offer various types of socket weld fittings including socket weld elbow, socket weld tees, socket weld cross, Coupling and more. We are a well known manufacturer of Alloy Steel Forged Fittings fabricated in various grades of steel and its alloys. Our forged pipe fittings are manufactured with utmost precision, ensuring that our range of products comply with international quality parameters. Our products are also available in various grades and have precise size, weight, thickness and dimension. Manufactured in tune with the industry standards, these fittings are much regarded for their dimensional accuracy. 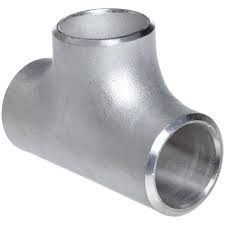 We offer a wide range of Stainless Steel Elbows are available in different sizes.An elbow is a pipe fitting which is used as a connection point between two lengths of pipes to produce a change in the direction of flow in the pipe, usually at an angle of 90°, 45° or 180°. 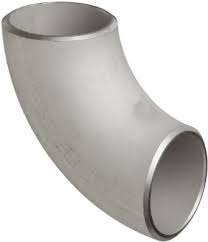 Elbows are also commonly referred as bends, and are available in a range of materials such as stainless steel, carbon steel, alloy steel, nickel alloys, duplex, and cupro nickel. Size 3/8" x 1/4" thru 2" x 11/2"
we have been able to manufacture, export and supply a huge assortment of Stainless Steel Tee. Available in varied designs and dimensions, offered tee is efficiently manufactured by our adept team of professionals in adherence with set industry terms with the aid of ultra-modern technology. 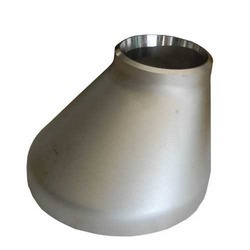 We are a reliable Manufacturer, Supplier and Exporter of Stainless Steel Equal Tee. The Tee that we deal in is accurate in dimensions and is extensively used to connect pipes of diverse diameters and change the pipes flow direction. Our whole range of Stainless Steel Equal Tee is standard compliant and is offered by us at minimal prices. Thread Size 3/8" x 1/4"
We are a reliable Manufacturer, Supplier and Exporter of Stainless Steel Unqual Tee. Available in varied designs and dimensions, offered tee is efficiently manufactured by our adept team of professionals in adherence with set industry terms with the aid of ultra-modern technology. Our whole range of Stainless Steel Unequal Tee is standard compliant and is offered by us at minimal prices. Monel Long Stubend & Short Stubend. Socket Weld Outlet offers a self-support and one-piece connection. Circular design let use of mechanical burning tools. It requires less weld material while reinstating 100% pipe or header potency. In addition, holes can be sliced down in the run after welding the outlet to further minimize the distortion. RFP India manufactures and supplies these fittings to meet your made-to-order requirements in a privileged variety of special stainless steel and alloy grades. We offer to our clients a wide range of Screwed Pipe Forged Fittings. We produce vast range of forged fittings of quality raw material with optimum efficiency and durability. The offered fittings are manufactured using optimum quality metal procured from established vendors of the industry. 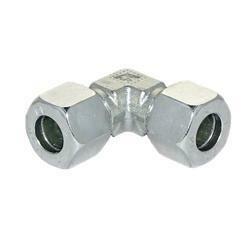 Screwed Pipe fittings are available in various sizes, shape and ranges as per the customer need. We are able to manufacture, export and supply a comprehensive assortment of Stainless Steel Union. Being suitable for joining two pipes and allowing detachment without any deformation to pipes, the offered component provides positive sealing and easy assembly support. Provided component is manufactured with high precision byutilizing excellent quality stainless steel with the aid of latest tools and technology as per international industry standards. 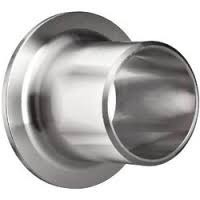 Besides, we provide this Stainless Steel Union in numerous sizes at economical rates.